My mum Elizabeth, died on 5 December 2011. She was 77. She had been a nurse in Africa and a midwife and health visitor and when Alzheimer’s disease crept slowly into her brain, she knew what it would mean. She was to me simply the most beautiful person I ever knew. Her kindness, intelligence and humour matched by her strength and beauty. Mum was 68 when she was diagnosed. I was 35. Mum, who had given a lifetime of service to others from the age of 16 when she trained as a nurse, ended her life with her tiny body fighting for ten days until she couldn’t fight anymore. Your mum is a place of safety. As long as she remembers you. Every time I spoke to her she rallied, every time I left she declined. I was with her for those 10 final days. I had gone home for a shower when the home phoned to say she had died. I wrote this 24 hours after she died and I’m sharing it here, for Alzheimer’s Research UK. We need a day to come when the battle against this cruel disease is won. “Sitting staring at the clock just now, trying to get myself through the minutes which mean that an entire 24 hours have passed since my mum died. The day we realise with shattering clarity that one day Mum will die. If your mum was like mine they reassure you that it’ll be a long time away. For most of us it is. That fear for me resurfaced through the decade of decline we just travelled through. Past the responsibilities and added pressures through the transference from mother to child and on to yesterday. Sometimes I felt angry from the exhaustion of caring, sometimes resentful and I always felt sad, but I didn’t walk away. I was constantly reminded by her beautiful face of the love that I had for her, even when her best smiles were reserved for the nurses and carers she grew to know better than her own children. Sometimes our conversations became like the improv classes I learnt at drama school. I’d play carer or visitor. We’d walk and talk and I’d tell her about myself and call her by her title so as not to frighten her with a familiarity she didn’t recognise. My heart broke more with these conversations than at any other time because when the world is at times an unforgiving planet, being with your mum is a place of safety. As long as she remembers you. Today I went to the home and I kissed her goodbye for the last time and they came to take her to the other place. The place where they took my brother on Christmas Day 33 years ago when he was only 17. Like him she was gentle and kind and strong. His illness was fast and hers was slow but they fought equally bravely until exhausted they couldn’t fight anymore. 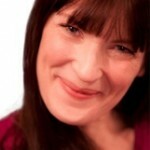 Nicky Clark is the mother to two girls, both disabled and is a writer, carer and blogger. She’s campaigned on the issue of promoting positive attitudes towards disabled people and the elderly. Nicky was also primary carer for her mum who died from Alzheimer's in 2011. She has written for The Guardian, The Independent, New Statesman, C4 News and Mencap Magazine. When is a failed clinical trial not a failure? Is this fundraising call genuine?